How can I pay with a Master Card or Visa (Debit/Credit Card)? I don't have Paypal, how to make payment? STEP 1: Click on 'Pay with Debit Card or Credit Card'. Please note that currency availability may vary depending on your region. Please note that Maestro cards should be sent as MASTERCARD. I did not received my order yet? Processing Time: All orders take 5-7 days for processing as every item is created upon order. Free Shipping: It may take 25-30 days for items to be delivered using 'Free Shipping' option. Shipper is USPS. Express Shipping: It tales 10-15 days for item to be delivered using 'Express Shipping' option. We do not provide end to end tracking numbers for international shipping and average delivery timeframe is 3-4 weeks from date of order. We ship worldwide. You will receive tracking number however it would work only till item reach your country. If you did not received your item under shipping time, then feel free to contact us using 'Contact Us' button. For international shipping and average delivery timeframe is 3-4 weeks from date of order. We ship worldwide. We do not provide tracking numbers for international orders as in free shipping we use government shipping companies which do not provide tracking number. If you did not received your item under mentioned shipping time, then feel free to contact us using 'Contact Us' button. Where's my order tracking number? After processing of your order (5-7 days), our asian manufacturing departments ship your order to the respective countries and only then we receive tracking numbers from local shippers (like USPS in USA). After we receive tracking number, they are provided to you via email immediately. In some cases you may receive item even before you receive tracking number as this is completely dependent on shipper company. As we do not charge for shipping (free shipping) we use government operated shipping services like ePost or Singapore post to send your order, these companies do not provide any tracking number in order to keep there cost lower however expected shipping time frame is 3-4 weeks for any international order worldwide. I ordered using 'express shipping' and it's been over 3 weeks. Sometimes due to unavoidable circumstances your order might take more than the typical 10-15 days. if so, please click on 'Contact Us' and provide us with your order number. Who pays custom fees (if any)? We do not charge any custom fees. However depending on your country's laws, you might be required to pay custom fees on sneakers/tote bags/flip flops etc. Please check your respective country's laws for custom fees. How to get refund on my purchase? 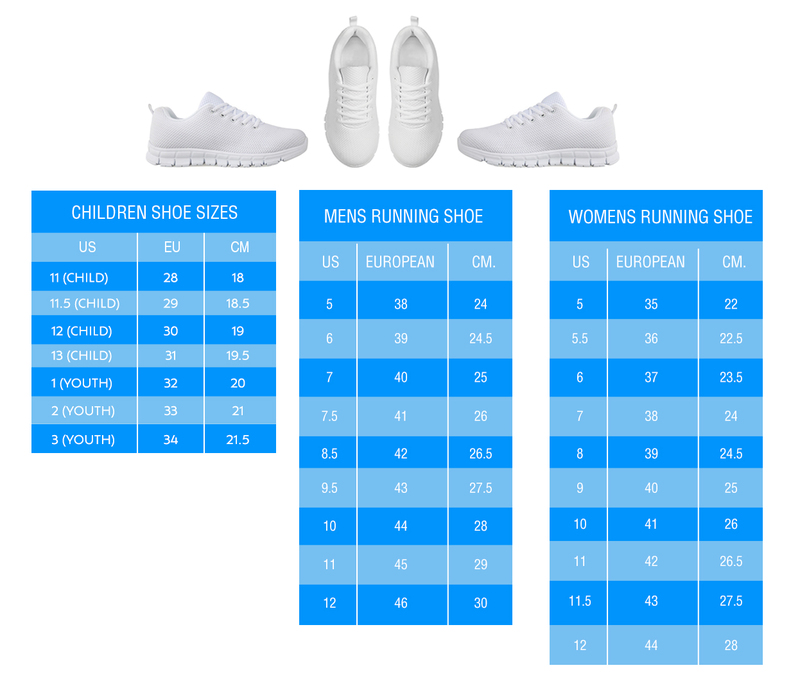 1) Wrong Shoes Size: If the shoe size received is different from the size you ordered, then we would send you a replacement. Please note if you have entered the wrong shoe size, then we cannot refund or send a replacement for your item. 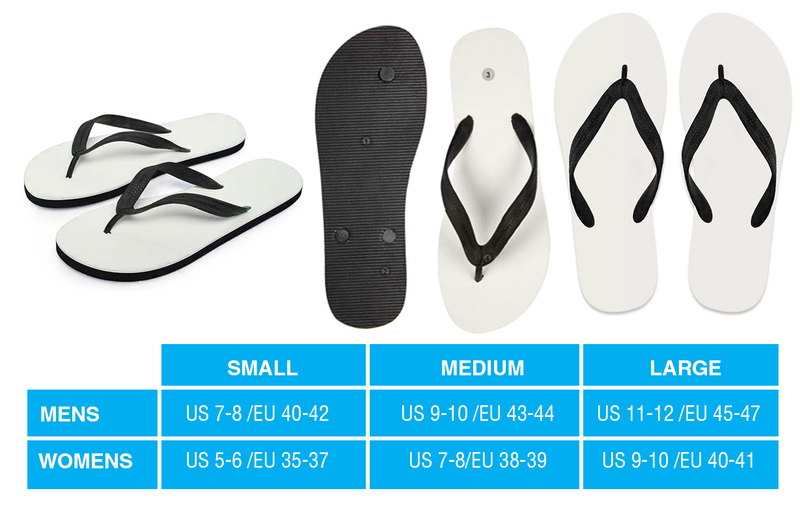 2) Wrong Design: In case the shoe design received is different than the one you ordered, we will send you the correct design. We will pay return shipping via a store credit. 3) Damaged Shoe: If your product(s) is damaged upon receipt, we will send you a replacement or refund. Replacement item is only sent once we receive the original item. Please note, in order to claim replacement/refund, you need to send us the picture of item in its original packaging. You can claim refund/return up to 30 days after receiving item. I received the wrong item, what are my options? If you received an incorrect item (different from your order email) then you can send it back to us for a full refund or replacement. We will reimburse your return shipping fees with store credits. Please note if the mistake was made by you when placing your order details, we can not refund or replace your item. Please be sure to double check your order details before submitting. I placed order of wrong item, i want different item, how to edit my order? In case of incorrect item, you should immediately contact our support desk by clicking on 'Contact Us' button on bottom of page. Make sure you clearly mention your order number. We cannot edit the 'item' in your order and only part we can change is shipping address and name. In case if you want to change the quantity or the complete item then we will cancel your order and issue you full refund only order is within 24 hours timeline. After 24 hours orders are sent for manufacturing automatically and cannot be edit in any ways, thus cannot be refunded or replaced. Please understand that we sell 'Print on Demand' items which are printed automatically by machines after 24 hours of your order, thus cannot be cancelled/changed. 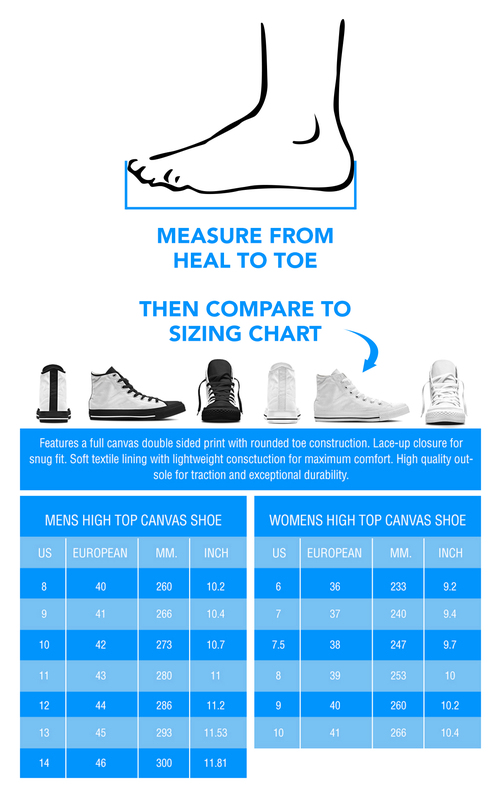 How do I know my exact shoe size?